Ranosys organized the 14th Singapore Magento User Group Meetup on November 9, 2017 at Microsoft Singapore. Ranosys has been offering Magento services since 2008 and always look back at ways to contribute to the Magento community. Singapore Magento User Group Meetup is one such initiative, where we welcome Magento professionals, developers, merchants, and eCommerce experts to explore the wonderful world of Magento. The Meetup was totally amazing, inspiration-fuelled, and info-packed. 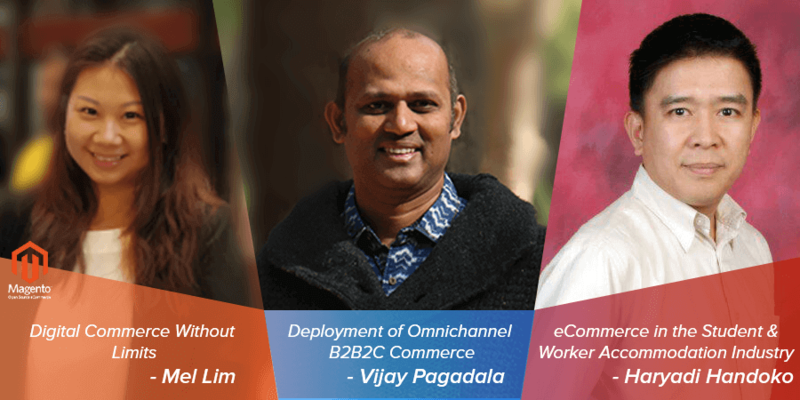 Sessions covered broad-based topics like Digital Commerce without Limits, eCommerce Needs and Opportunities for Foreign Workers in Singapore, and Deployment of Omnichannel B2B2C Commerce, Order Management & Logistics Platforms. Sharing valuable insights on how Magento is meeting the increasing traction of global customers towards digital transformation, Mel Lim, one of the members of the Enterprise Team at Magento Commerce, threw light on buying patterns, commerce system flexibility, driving innovation, maximizing gross margins, and fulfilling end-to-end expectations. Vijay Pagadala (CSO), Ranosys Technologies, shared his ideas on how retailers, distributors, wholesalers, and commerce providers can reap the maximum benefits of integrated B2B2C platforms, in order to fine-tune and streamline their product offerings, order management, sales processes, logistics, and customer service. After the presentations, Magento enthusiasts got together to network and socialize. It was a great opportunity for the community to share learnings and exchange ideas. For photos of the Meetup, please visit our online album.